Rick is a native of Southern Colorado. He received a Bachelor of Arts in history from Colorado College and a law degree and a Master of Public Policy from the University of Michigan. Rick has practiced law in Southern Colorado since 1987 as a member of the Colorado bar, the United States District Court and the United States Court of Appeals. For the past 28 years Rick has argued thousands of cases in Administrative and Civil Law proceedings including the Colorado Supreme Court. In specializing in Workers’ Compensation, Civil Injury Law and Social Security, Rick protects the interests of injured people and helps them to get the benefits they deserve. 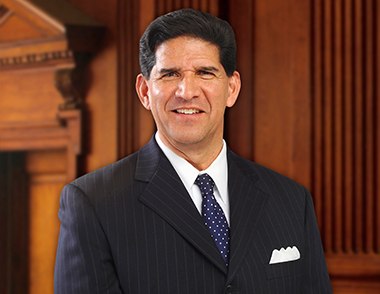 He is a member of the El Paso County, Colorado and American Bar Associations, the Association of Trial Lawyers of America and the Colorado Trial Lawyers Association. He has also completed the El Paso County Bar Association Trial Advocacy School. Outside of work Rick spends time with his wife, two sons and daughter. He also works out, rides his bicycle and hikes, plays softball and is involved in sports of all areas. As a diehard Colorado fan he loves the Broncos, Rockies and Nuggets.